India is famous for a whole lot of reasons. Since the ancient times, India has seen a whole lot of conquerors and tradesmen admiring it and wanting to have a piece of it. While the terrain, the climate and the naturally endowed coast lines are a few major reasons for the popularity of the country, one more extremely essential reason is the Indian spices. 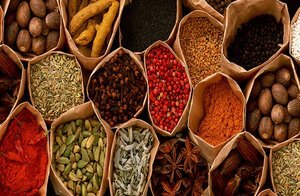 Spices that are made in India have been the choice of foreigners and Indians alike and there are a number of facts that are associated with the spices, showcasing the popularity and the goodness of the produce that India offers. Here is a list of five major facts. Spices in India is one of the most highly used commodity in food items and a range of alternatives are added according to the taste of an individual and also as per the most popular spices in a particular region of the country. It is also a great pride for Indians to know that the country contributes about 70% to the world spice produce, making it the highest producer of spices in the world. Since the country is the largest producer of Spices India is also the largest exporter of the commodity. There are worthy manufacturers and distributors of the product in India who lead in the industry with their impeccable product range and quality. Spices in India are not only used as flavouring for food dishes, but it also has healing properties, making the product ideal for use in medicines and treatments. The spices that are used in households in India do not only add taste to the food but also make sure that the nutrients that the body takes is counted and made useful for the system. With the country being rich with natural resources such as the Indian spices, one cannot help but feel proud of the legacy and the boon that the country has naturally been gifted with. With the kind of produce that we enjoy, we have been able to balance the personal tastes, health and the economy of the country.